selection of paints and preservatives in a range of colours, so there’s something to suit every taste. Find out more about our Paints and Preservatives range. Shed maintenance is an unavoidable necessity, but with our range of shed paints and preservatives, you’ll get the job done in no time – and be free to do the things you enjoy instead. 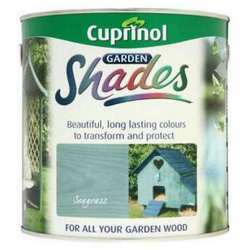 Our range of Cuprinol Shed Shades products is perfect for customising your shed in a variety of colours. If you prefer a natural wooden finish to your shed, then our Tigercare Preserver is the perfect option. Fade and weather resistant, our preserver will help extend your shed’s lifespan beyond our 10-year guarantee. 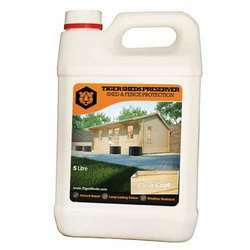 Ideal for brush and spray application, this preserver is exceptionally easy to apply. It’s also safe for pets and animals. If you have any questions regarding shed maintenance, please don’t hesitate to get in touch with our expert team. All of our maintenance products are shipped and delivered within six days.